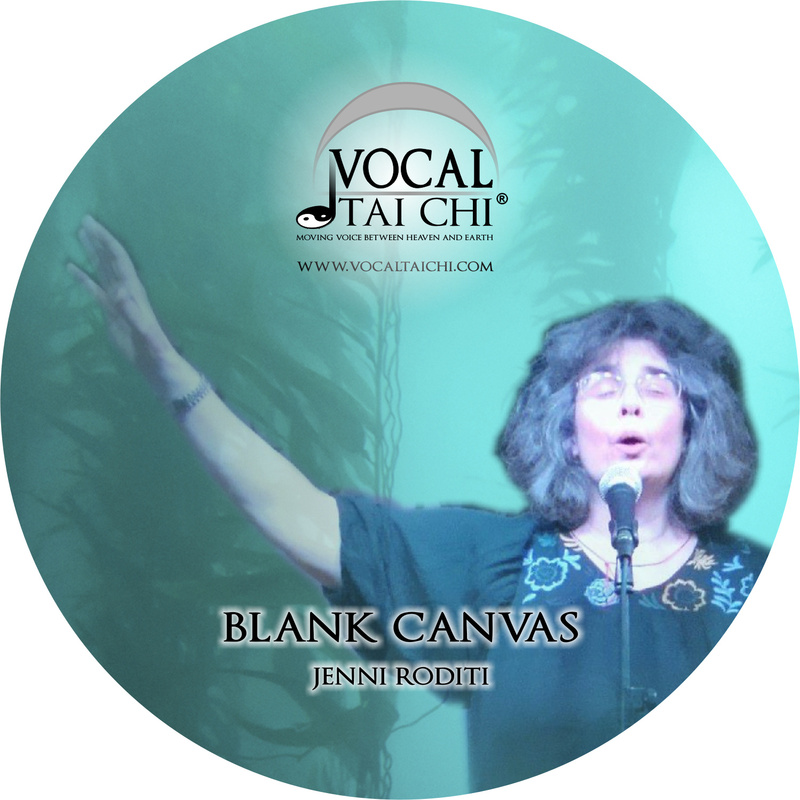 To practice your own Vocal Tai Chi download the backing tracks and get going straight away…. with her solo’s on many of the backing tracks is available to download or via mail order, below. ‘Blank Canvas’ Vocal Tai Chi CD. *Non UK purchasers: please check with Jenni about overseas postage before purchasing) This is a UK price point only. ‘Devotion that Moves the Heart – A Prayer Calling the Lama from Afar’. This is a contemplative piece – like a composed version of Vocal Tai Chi – with four voices in counterpoint. The composing technique for this choral piece was based on the weaving of four separate vocal lines over a constant drone-like, two repeated chords, organ accompaniment. Often written without any editing the lines emerged in natural counterpoint-like relationships. The vocal lines decorate and expand the simple harmonic backdrop of the organ with layers, ornaments and blocks of notes sitting somewhat asymmetrically above the underlying harmony. The text – ‘Devotion that Moves the Heart – A Prayer Calling the Lama from Afar‘ was written by the Great Jamgon Kongtrul Rinpoche, a brilliant scholar of nineteenth century Tibet. Dubbed the “Tibetan Leonardo” because of his significant contributions to religion, education, medicine and politics, he was the quintessence of the great intellectual and contemplative traditions of Tibetan Buddhism. The CD includes a full copy of the text. Jenni has been inspired by the Tibetan Buddhist tradition in her work and her life and this piece is a homage to that enriching connection. Written between 1994 and 1995 and first performed in 1996 at the October Gallery, London. The conductor at the premiere was David Temple who recently performed (2011) Jenni’s lively piece ‘Life’ with the Crouch End Festival Chorus at St James’s Church, Muswell Hill. Denby Richards, Musical Opinion Magazine. Deepest thanks are due to The Dzogchen Ponlop, Rinpoche, and Michele Martin, the translators of the Tibetan text, who have allowed their work to be used for the purposes of the recording, and to the Jamgon Kongtrul Labrang, Kathmandu, which houses the work of Jamgon Kongtrul Rinpoche, and their generous permission to use the text. Devotion that Moves the Heart was released January 2005 on the Claudio Bohema label.